Especially in winter, at night or if it's raining it is very comfortable, if you can open your garage door by pressing a button in your car. 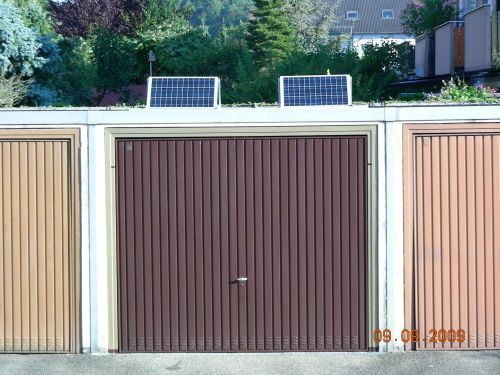 But what can you do, if your garage has no electricity? 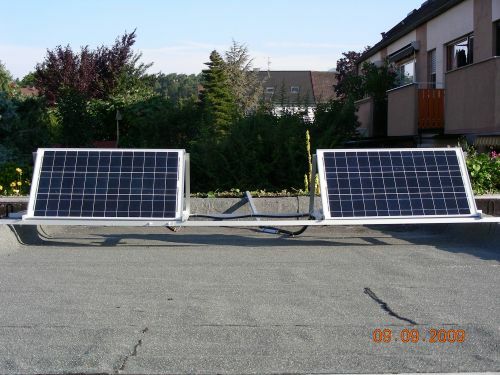 No problem, I will mount you a 24 V photovoltaic system on your garage and Ruku doors provides you with a 24 V DC door opener (and if you want even the complete garage door). With this system, you have the possibility to operate light, 24 V DC equipment and over an alternator it is possible to use power tools with 110 or 230 V AC.